I had a wonderful day on Sunday teaching my seasonal Celtic Yoga Journey Workshop. As always when I teach these days, there was considerable food for thought . I came away with questions for my inquiring mind to investigate. Any excuse for a good old Google! Why does frozen shoulder affect women over 50? Does massaging the calf release the neck? Can ticks cause meningitis? AND Why do we roll onto the right side when coming out of relaxation? My knowledgeable and erudite answer? There were some other yoga teachers there and they said that they had been taught that lying on the right side relieves pressure on the heart. I am pretty sure I wasn’t taught this. I was still on the journey home when I started to investigate. I am ever conscious of finding the “truth” in yoga and this is fuelled by a lifetime’s annoyance at “made -up -science”- there’s a lot of it about and Yoga is not immune. Those of you who know my teaching will know that one of my pet peeves is the still perpetuated – and in my opinion misogynistic- “advice” about avoiding inversions during menstuation. Think about it! So, having some valuable Google time on the ferry -I came up with a few answers. 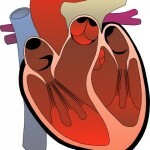 Firstly – does it avoid pressure on the heart? Some yoga teachers have traditionally been taught that it makes “space” for the heart. Hmmm. Isn’t the heart inside the ribcage to protect it from any external pressure? Even if it did have a minor effect, the length of time that we spend on the side coming out of Savasana would have little effect. Any real massaging effect of yoga on the heart comes from increasing cardiovascular activity – e.g. in inversions. The cardiologists’ consensus to this is that it makes little, if any difference to healthy people. 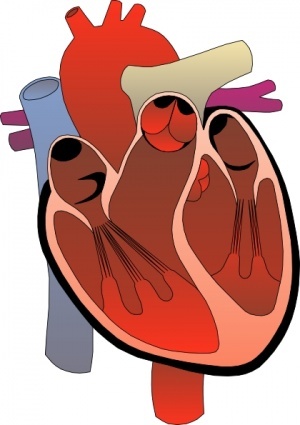 There is some suggestion that there may be some effect on the sympathetic nervous system which may make it more comfortable for people with heart failure to sleep on their right side ( helping to lower blood pressure and reduce heart rate) so some people who have had a heart attack have been advised (by some doctors, not all) to try and sleep on their right side. Bear in mind, this is to do with sleeping. However,this advice has , somewhere along the line, mutated into “Sleeping on your left side is bad for you” . It should be pointed out that there is NO CLINICAL EVIDENCE of this effect on healthy people. Symptoms of Gatric Reflux disease may also cause cardiovascular symptoms and, interestingly – there is some evidence that lying on the LEFT side actually relieves GERD symptoms, so…you choose! Then there is the possible effect on breathing. What I teach is that sleeping on either side can favour one nostril or the other in terms of breathing. I am not sure if the length of time we spend on the side coming out of relaxation would make much difference. But in terms of sleeping on either side, this effect is to do with sinus pressure. In Yoga, of course, the belief is that this has an energetic response with ida/pingala nadis. Right side = active. Left = passive. So lying on the right side was perhaps considered a good way to re-activate after a relaxation in order to re-enter the real world. And then the real world response from ever practical Yogi Graeme. It avoids chaos in the yoga room. If everyone turns in the same direction then there is no clashing of bodies! In terms of my own teaching, maybe I will no longer suggest rolling onto the right side. I will ask people to choose the side that feels appropriate. Or maybe it doesn’t actually matter! If someone was in heart failure and there was any likelihood of them expiring from lying on one side or the other, then I might want to question them being in the yogaroom in the first place! I think my point is that I have reached a stage in my teaching where it is not enough for me to continue to teach something that is more about what we are taught to say, rather than about my own practice.